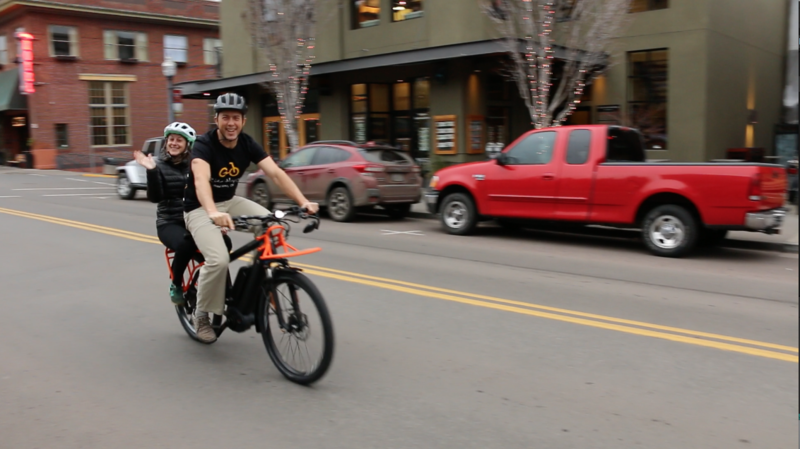 It was 2016 at Interbike, the largest bicycle industry trade show in North America, and Matt was on the lookout for the best e-bike brands to bring into our new shop Oregon E-Bikes. At the end of Day 2, his mind on overload, he was walking down one of the many aisles at the show and BAM. He laid eyes on one of the most beautiful and intriguing bikes he had ever seen: the Riese & Müller Delite. Matt's original love in the Riese & Müller line, the Delite GTS. Fast forward to 2019, and the reasons why Matt was immediately in awe of Riese & Müller still apply. 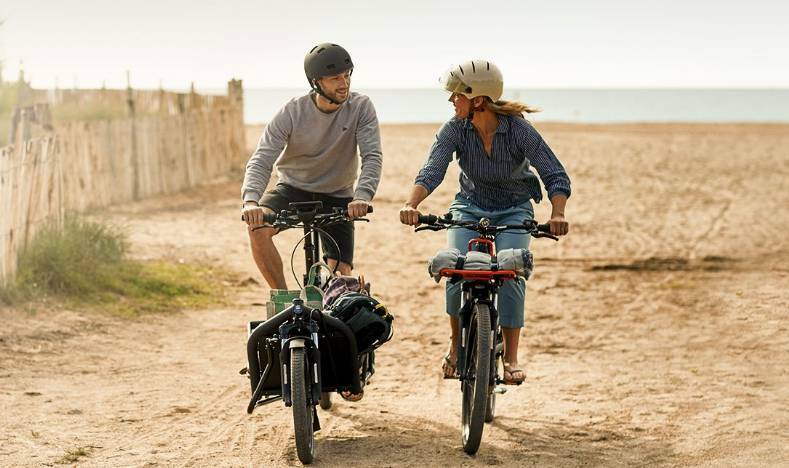 Whether you're drawn to the elegance of the Nevo step-through, the sophisticated design of the Delite, the sleekness of the Roadster or the beauty and utility of the Load, there is truly a bike for every rider in their lineup. 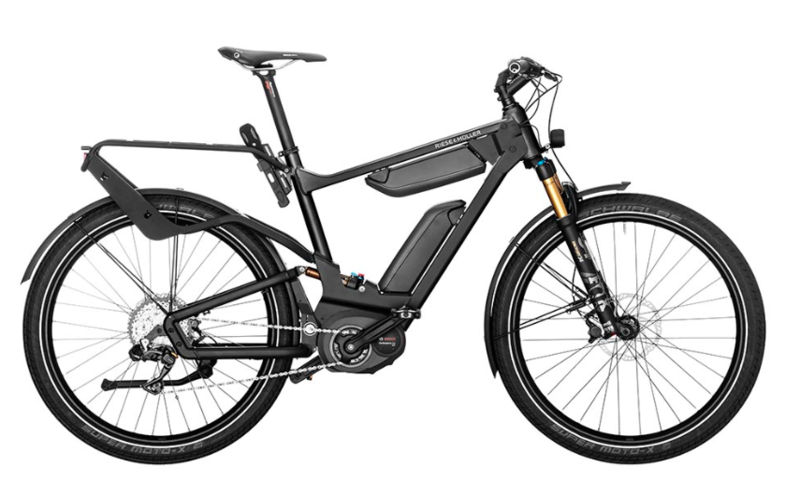 Their e-bikes utilize some of the highest quality lights, seats, brakes, shifters, tires and fenders in the business, and they exclusively utilize Bosch motors and batteries (two big reasons why service needs on a Riese & Müller bike are few and far between). Additionally, each bike is hand built in Germany at a time when a lot of the other brands opt for cheaper manufacturing. The impressive Riese & Müller factory in Germany. 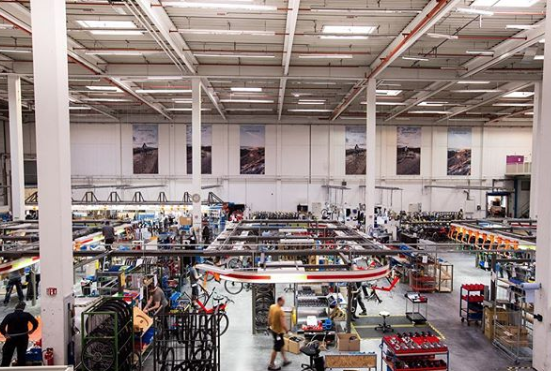 Highly skilled workers building high quality bikes. While we'll oooh and aaah over the design and functionality of the R&M line until the end of time, the fun really begins once you're actually riding. As a result to their attention to detail during each step in the production process, to ride a Riese & Müller e-bike is a profoundly enjoyable experience. Each touchpoint is appreciated for its placement and feel, and the bumps along the way are pleasant white noise in the background thanks to innovative design features like their proprietary ControlTechnology dual-suspension system. Matt and Jodie on the 'category busting' Multicharger. Matt was so excited he didn't notice he was wearing a t-shirt in January. 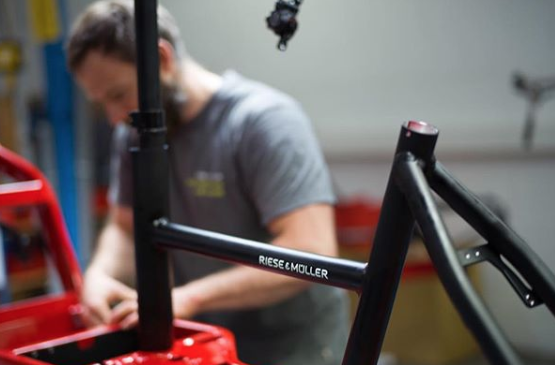 "The passion for bikes and innovations, as well as our perfectionist approach, dominate our work," says Riese & Müller, and it is for these reasons and (many) more that we're over the moon about our continued partnership and excited to be an official Riese & Müller Test Center for 2019. Our showroom floor is filling up with bikes as we speak, and we look forward to sharing our knowledge and enthusiasm for all things Riese & Müller with you!